“The world of travel has changed. Technology has changed. Therefore we must change too,” says Victor Sanz, Tumi’s Creative Director. Since its inception in 1975, the brand has revolutionised travel essentials for globe-trotting movers and makers. Now on a mission to inspire a new generation of travellers, the brand highlights the art of expedition via intelligent travel in its Spring 2019 launch. Crucial to this season is its revamped core collection: The Alpha 3. In 1983, the brand launched its signature ballistic nylon and this ultra durable material — it was once used to protect WWII troops from shrapnel — was incorporated into Tumi luggage designs. This, combined with patented functional features of U-zip pockets, telescoping handles, dual wheel systems, Add-a-Bag, and expansion systems, saw the creation of the industry’s most dependable travel accessory. Now, the A3 collection returns with a major revamp that elevates the range’s extreme functionality. Sleek aesthetics aside, the new features include integrated USB power ports for the carry-on sizes, dual-access entry, full access front pocket for increased functionality, dual-coil security zippers and leather rain flaps on bags. The latest luggage style is the Tall 4 Wheel Duffel Packing Case, which offers top and split case access, and features four interior shoe panels. Bags in this series also include the compact and lightweight Slim Backpack, the Slim 3-Way Brief, and the Expandable Tote. These will be available in black ballistic, black leather, and anthracite with brown leather trim, along with a seasonal pattern of graphic congo. 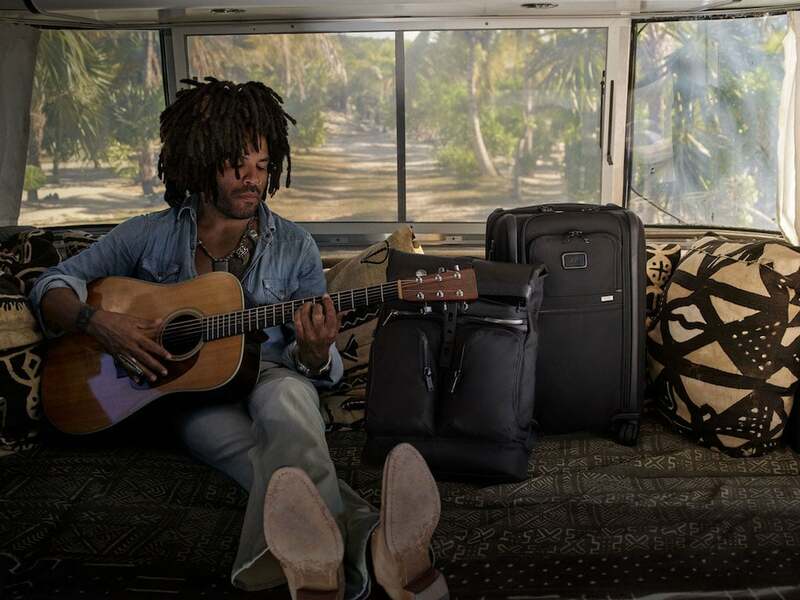 To launch its new A3 campaign, Tumi collaborated with Lenny Kravitz and his daughter Zoe on What The Future Holds, a special film project that saw the duo travelling to the Bahamas, where Lenny showed Zoe around the island to show her their “family history, and to pay respects to the elders that came before [them]”. The quest honours family, tradition and storytelling of multiple generations and also echoes Tumi’s message of personal journeys and the moments experienced along the way. “I loved working with Tumi and the idea of telling a story about travel, family and connecting with one’s roots,” says Zoe. 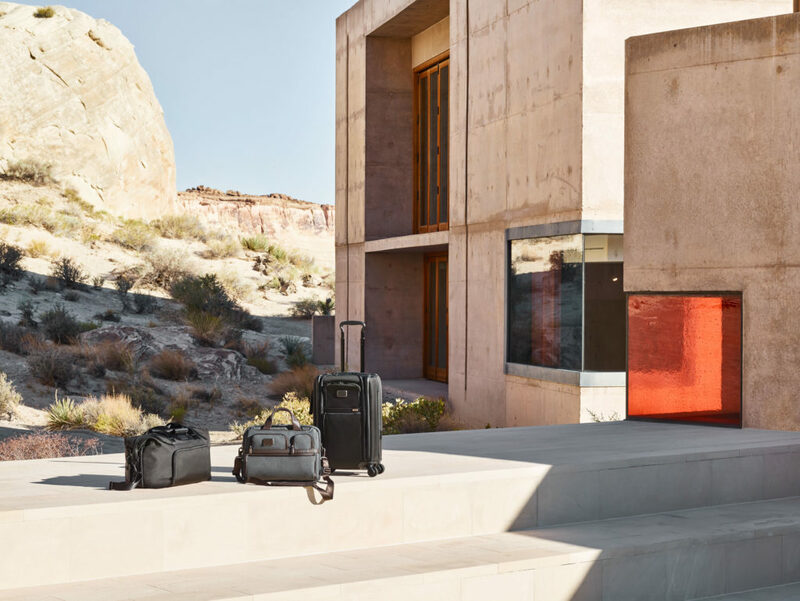 The idea of destinations and ventures is interwoven in other Tumi’s range of products for the Spring 2019 collection. The Arrivé collection, for instance, takes inspiration from automotive designs with streamlined silhouettes, high-tech features such as a USB power port, dual access entry and an integrated TSA lock, and spiffier details of a subtle leather finish, as well as front leather panel with embossed detail. That’s not all. This season, Tumi has also expanded its collections for women. The Voyageur range, for instance, brings you lightweight, practical backpacks and bags in smaller sizes, prints and patterns. New additions include the smaller backpacks of Sofia and Whitney, and the Rivas backpack that features a revamped design and Personalisation Kits for customisation. Those who prefer a slouchier style have the Phoenix Hobo and Rosario Hobo — the latter comes with triple compartments for maximum storage. Colours of the season are ultramarine with silver hardware, and sunset with gold hardware. Seasonal prints are bolder and brighter with the vibrant colours of the congo bright for the bags, and congo multi for accessories, as well as the African floral print that takes inspiration from the continent’s rich flora.